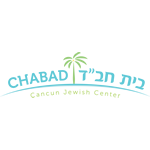 You're most welcome to join our unique Shabbat meals in a warm and Jewish atmosphere at Chabad Jewish Center. At Chabad we do all we possibly can to give every Jew the opportunity to experience Shabbat, home away from home! Needless to say, we have many expenses and payment doesn't cover all the costs. If you're able to contribute in addition to payment to enable us to continue our activities, it will be very much appreciated! RESERVATIONS SHOULD PLEASE BE MADE BY WEDNESDAY EVENING.